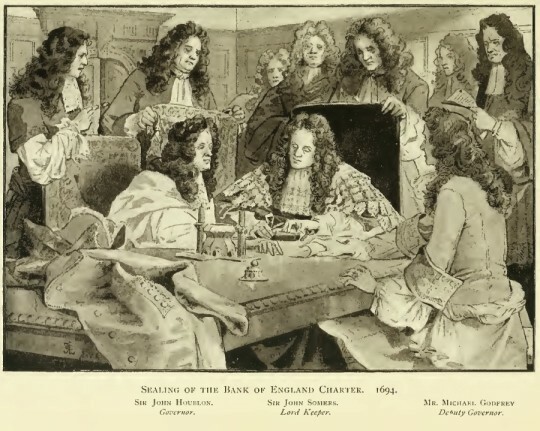 The Bank of England is set up in 1694. Historian Harman Murtagh talks to John Dorney about the origins of taxation, sovereign debt, state bankruptcy and representation in 17th century Europe. The issue of the day in Ireland is the insolvency of the modern Irish state, brought on in large part by the failure of the banking system and provoking heavy taxation and emergency borrowing. A crisis without precedent? Not at all. In simple terms, there was no way to pay for permanent armies without systematic taxation and taxation itself wasn’t enough; money had to be borrowed – leading to the creation of institutions like the Banks of England. Then as now, states reliant on borrowing could not afford to let their banks go under. Here Harman talks about how the Bank of England very nearly went out of business and how Louis XIV bailed out his major creditor in Lyon. In Ireland itself, the issue was played out in the Jacobite-Williamite War, or the War of the Two Kings, where James Stuart and William of Orange fought it out for the thrones of England, Ireland and Scotland. The Irish Jacobite regime, a short-lived Catholic pro-Stuart state, led by Richard Talbot, Earl of Tyrconnell, tried vainly to finance its war. Initially they tried a property tax then, and then minting its own currency, derisively termed ‘gun-money’ by their Williamite enemies. The Irish Jacobite soldiers, despite not being paid, fed or clothed, by and large suffered without complaint – is there a strain of passive acceptance of misfortune in the Irish psyche? Finally, then as now, financial crisis provoked political change. Here Harman discusses how increased taxation eventually led to the development of representative government in Europe. For more on the 17th century “military revolution” you can listen to military historian Padraig Lenhian here. Dr Harman Murtagh is a Visiting Fellow at Athlone Institute of Technology and is the President of the Irish Military History Society. He has been described as the foremost expert on the Jacobite-Williamite War of 1689-91. Jacobite ‘gun money’, minted for the war of 1689-91. Written by: John_Dorney on 3 March, 2011.on 8 July, 2018. 3 Responses to "Bankruptcy, Bailouts and Brass Money – The 17th century origins of modern state finances"